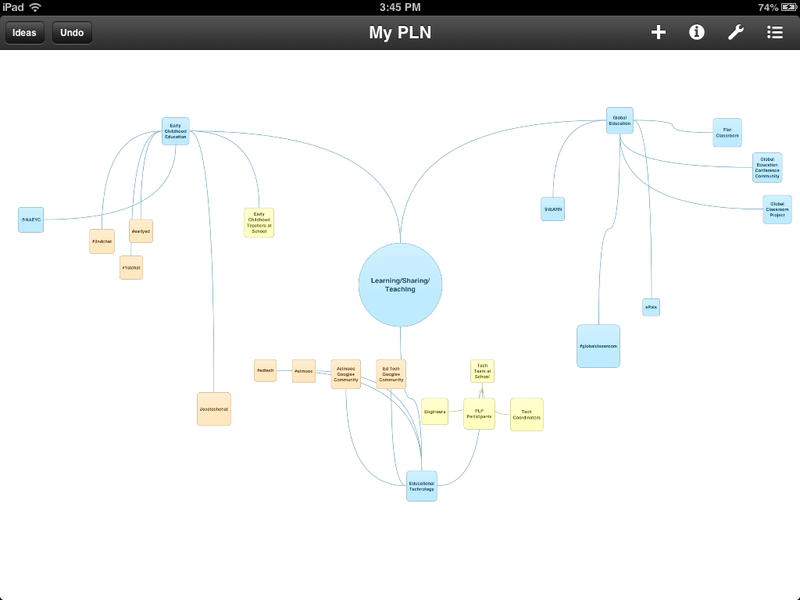 After the #etmooc Blackboard Collaborate session Tuesday night with Alec Couros on Connected Learning, I started to think more about my PLN and the prompts that were suggested. 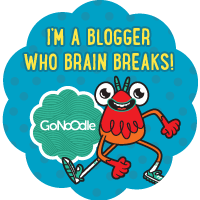 How would I define my PLN – in words, in imagery? Being a visual person, I wanted to represent it with a graphic, so I started to think about the best way(s) to do that. At first, I thought a general mind map might be a good choice. 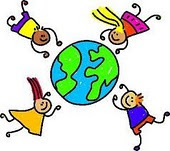 I mentally jotted down “PLN” as the central bubble, expanding outward to three core bubbles of “early childhood education,” “educational technology,” and “global education.” I began to reflect on who and what else belonged in my image but struggled to come up with an accurate depiction. I realized I was struggling with competing wants – trying to arrange my PLN around topics (e.g., ed tech) versus around three W’s: who (e.g., colleagues), what (e.g., Twitter), and where (e.g., at school). I took a break from trying to name and categorize to search for the best tool to create my visualization. I debated Google Drawings, Mindmeister (which I’ve used successfully before to collaboratively map PLNs among participants in a course I taught – see the image above), and finally settled on trying a new tool, Idea Sketch. I chose this app because I was interested in working by touch (I thought) so I wanted something available on my iPad, I wanted to be able to start with a text list since I had already written out some of my map, and I wanted the ability to color-code. After exploring Idea Sketch for a little bit, I realized it was still going to be a lot more time consuming to create my map there than on paper. A perfect example of when technology can become more of a hinderance to efficiency than a tool supporting progress. So, I went “back to the drawing board” both literally and figuratively. I started fresh with a piece of paper and decided to re-think the idea of a central “PLN” bubble. What was really at the center my PLN? I realized that at its core, it was connected learning, teaching, and sharing – with people. I reflected how, at times, I am also at the center of my PLN, drawing connections between three fields that I am passionate about and rarely see intertwined (early ed + ed tech + global ed) but many other times, I’m simply another node, as Joichi Ito suggests, floating in and out of other nodes and networks in my PLN. I’m not just making connections, I’m looking for them, I’m learning from them and others and at times I can become backgrounded in my own PLN, there as an observer, to “lurk” or shadow conversations that allow me to break down the already thin walls of my PLN and see through into other people’s networks. Sometimes I have the privilege of helping to create ties between someone else’s network and my own, which is always exciting and inspiring, and sometimes I simply have a chance to be a participant in another person’s network and try to support that person as much as I can. I’m confident that this depiction is a) a work-in-progress and b) still not a perfect representation of how I’d like to display my PLN, but it comes pretty close. I also appreciated how much reflection I was able to engage in simply by trying to create this drawing of my PLN. I thought much more about the difference between communities and networks of people and the layers they add compared to the tools and environments that help me to connect. I examined the boundaries and my own place within my PLN more closely and took time to step back and consider where various pieces live within my PLN map. 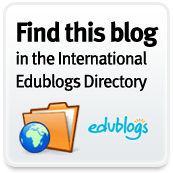 I (re)discovered that there are many more intersections between global education and educational technology than early childhood and global education, due I believe, to the necessity of technology to connect people across time zones, languages, and countries. I hope that with this awareness in mind, I can re-focus my own energies on seeking out more networks and communities who are integrating ed tech and global ed into early childhood education to add to my PLN. 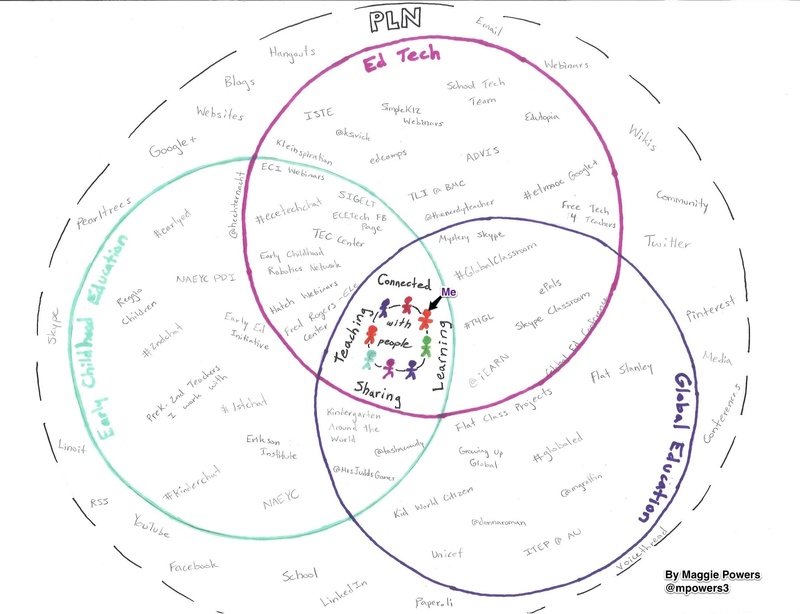 Ultimately, now that I have my PLN sketch, I want to think more about how it looks and how I see connected learning, teaching, and sharing as the center. Those are the ideals I have built my PLN around and I want to keep them in mind as I consider the idea that there is “strength in weak ties” and in new perspectives. 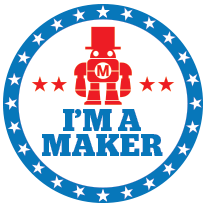 People who are not immersed in my PLN (weaker ties) and who have different passions, can add so much to my own learning and I want to think more about how I can make sure to value that and make my network permeable enough to see, hear, and share their views too.